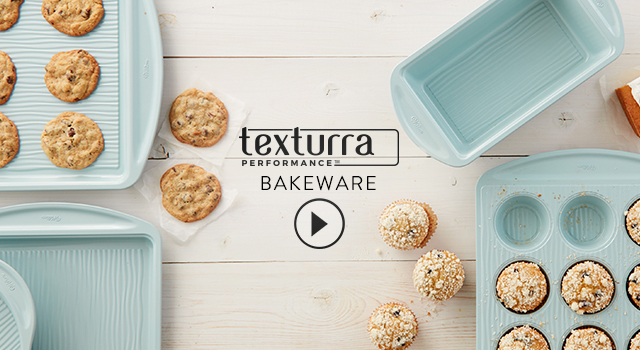 Texturra Performance Bakeware is beautiful bakeware that’s reliable enough to use everyday. The unique texture encourages airflow and the non-stick coating releases food easily which means cleanup is easier. From baking sheets to muffin tins, you’ll be proud to show off this stunning collection on your countertop any day of the week.